Iran’s Revolutionary Guards, a business empire as well as the country’s most powerful military force, have been a vocal critic of recent nuclear diplomacy. 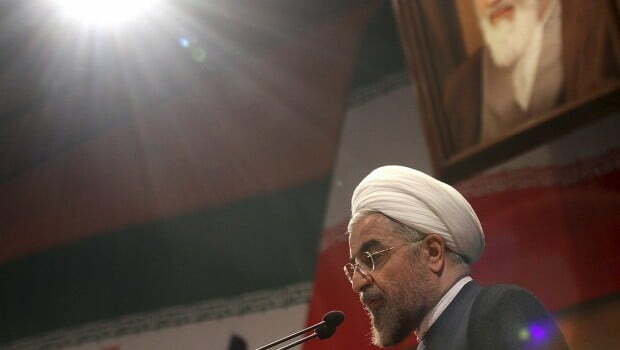 President Hassan Rouhani is fighting back, setting up a contest that may shape his presidency. The Islamic Revolutionary Guard Corps expanded under Mahmoud Ahmadinejad, benefiting from multi-billion-dollar contracts to build Iran’s nuclear facilities and develop the world’s biggest natural-gas field at South Pars in the Persian Gulf. Former officers, who made up more than half of Ahmadinejad’s cabinet, are down to four out of 18 ministerial jobs under Rouhani. Guards leaders, in their role as defenders of the Islamic revolution, have denounced the new president’s breakthrough phone call with Barack Obama and sniped at Foreign Minister Mohammad Javad Zarif as he negotiated a nuclear accord with world powers in Geneva last month. 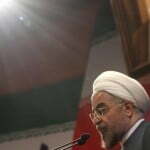 Rouhani, in turn, is seeking to ease them out of politics and the economy. He’s curbing the Guards’ role in industries from road-building to petrochemicals and cutting the budget of their paramilitary Basij force, used to suppress protests in 2009. The contest may determine whether the president gets to enact the platform he was elected on, which includes loosening religious and political restrictions, or is thwarted by opponents of change. “One of the two will be defeated,” said Ali Alfoneh, a senior fellow at the Foundation for Defense of Democracies in Washington and author of several studies of the Guards. 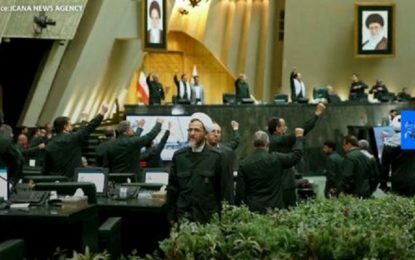 The Guards report directly to Supreme Leader Ayatollah Ali Khamenei, who encouraged their participation in politics to counter the reformist movement that emerged around President Mohammad Khatami in 1997. Khamenei typically plays different factions against one another to ensure no group gets too powerful, said Karim Sadjadpour, an Iran specialist with the Carnegie Endowment for International Peace in Washington. He may use the Guards to put the brakes on Rouhani’s plans, Sadjadpour said. 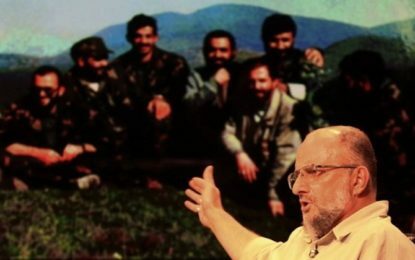 “Khamenei doesn’t want to be seen blocking Rouhani but he’s betting Sepah will do his dirty work for him,” he said, referring to the Persian name for the Guard Corps. Equally, the supreme leader will sometimes back the president because “he wouldn’t mind seeing Rouhani roll back some of the influence of the Guards,” Alfoneh said. The Guards are Iran’s “most powerful economic actor,” Adam Szubin, director of the U.S. Treasury’s Office of Foreign Assets Control, said in testimony to Congress last year. The group dominates energy, construction and banking, he said. Its business empire began when Iran was seeking to rebuild after the eight-year war with Iraq that ended in 1988. The government decided to use the Guards’ experience in building roads and bridges to help restore civilian infrastructure. As the projects grew, the Guards set up an engineering arm, Khatam al-Anbia, in 1992. 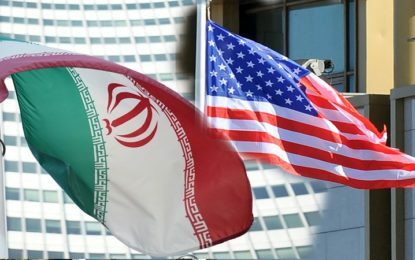 Khatam, which is blacklisted under U.S. and European sanctions, now has more than 800 subsidiaries and employs almost 200,000 people, according to the state-run Iranian Students’ News Agency. Rouhani is clipping its wings. The government removed Khatam from the management of Asalouyeh, a hub of petrochemical plants and refineries on the Persian Gulf, and terminated its contract to build a highway north of Tehran, Solh News, a website close to the Guards, reported Dec. 4. It said the Energy Ministry is also seeking to remove Khatam from dam-building and power projects. Oil Minister Bijan Namdar Zanganeh has criticized Khatam for failing to produce gas at South Pars. The company was awarded contracts worth as much as $21 billion in 2010 to develop the field, according to the ministry. Iran’s Mehr news agency said more than $40 billion had been spent on the development. Ebadollah Abdullahi, a Guards commander and head of Khatam, has defended its record. Khatam took over contracts from Western companies such as Royal Dutch Shell Plc and Total SA (FP)which pulled out due to sanctions, and the same sanctions have held back Khatam’s work at South Pars, he said, according to Mehr. The Guards are pushing back in the political arena. Their commander, Major General Mohammad Ali Jafari, said Rouhani “erred” in speaking to Obama by phone during his September visit to the U.S. When Zarif, defending the Geneva accord at Tehran University on Dec. 3, argued that Iran’s military isn’t powerful enough to deter the West, Jafari riposted: “He doesn’t have experience in the military field to make these statements.” The foreign minister replied a week later by pointing out that he taught international security for 20 years. Rouhani also cut funding of the Basij force, leading its head, Brigadier-General Mohammad Reza Naghdi, to criticize the move. Jafari has warned Rouhani to expect resistance, saying the Guards “cannot sit quietly” in the face of developments they oppose.